I read – A LOT! A perfect Sunday afternoon for me is spending some time outside on the deck, enjoying the summer warmth, and reading a good book. Even while commuting to and from work on the bus, I like to have something handy to read. Sometimes during lunch I will walk over to a near by park and sit on a bench and read. I find reading a great way to unwind, de-stress and learn something new (as my preferred reading material tends to be non-fiction.) I don’t like lugging books around with me as they get heavy quickly, and don’t always fit in my purse. While I do love using tablets and my smartphone, I find that reading on them for extended periods of time strains my eyes. Not to mention that if you are using them outside in direct sunlight it is next to impossible to see the screen. I prefer a dedicated ereader. 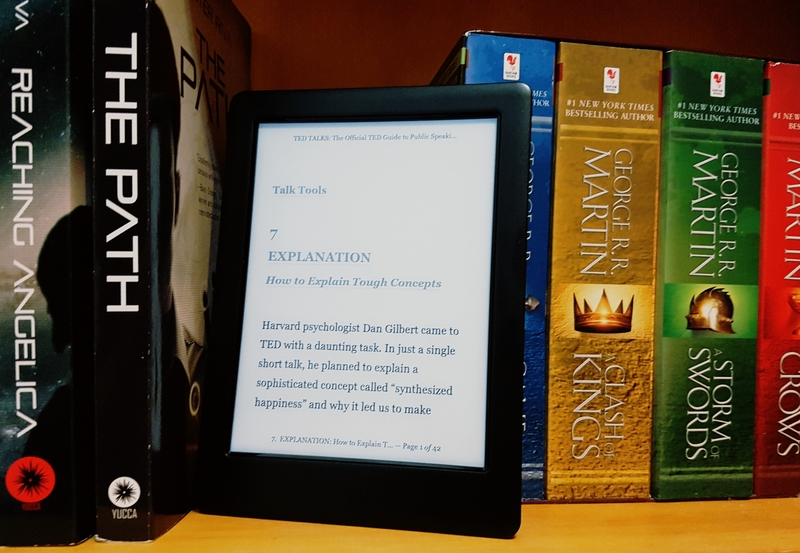 My recommendation for a versatile ereader, that offers you the best value for price, is the Kobo Glo HD. It is the perfect choice for your summer vacations at the cottage, sitting by the pool or on the beach (keep in mind that it is not waterproof so don’t bring it in the pool), while traveling, and for your everyday use, as it is convenient, light and portable. It’s a great way to bring around a whole library of books with you wherever you go, without the added weight and awkwardness of carrying actual books. 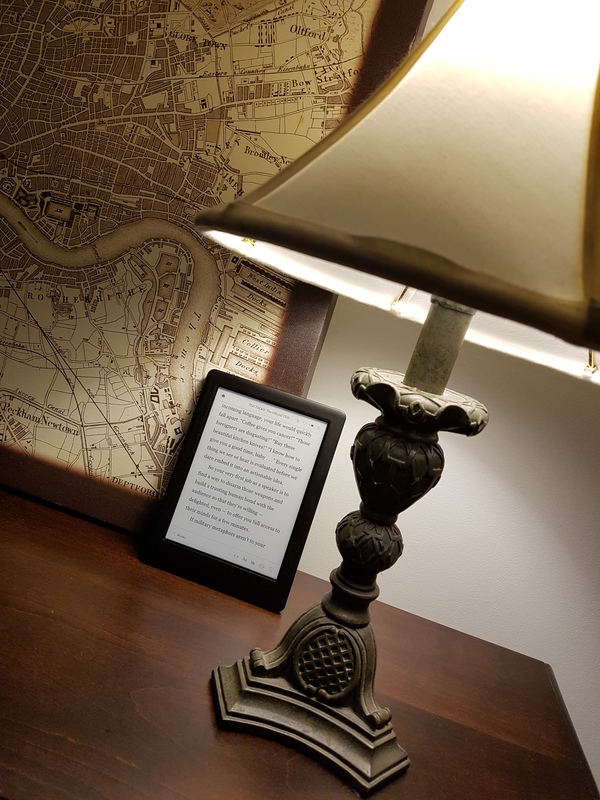 The Kobo Glo HD makes packing a breeze! The Glo HD is a bit smaller than more recent Kobo versions. The dimensions of the Glo HD are 157 x 115 x 9.2 mm and it weighs a mere 180g. It is the perfect size for carrying around! I can even fit it into one of my smallest purses that I use. It even fits in coat pockets. The power / sleep button is located at the top of the ereader and a micro-USB port is found at the bottom. There is no micro-SD slot to expand on the included 4 GB of internal storage, but I find that 4 GB is plenty for adding more than enough books (approximately 3000). 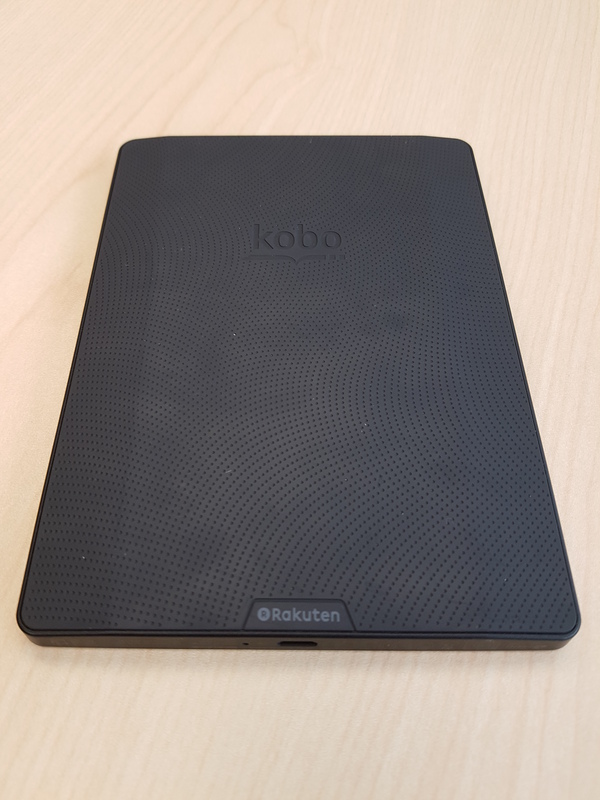 The front of the Kobo Glo HD is covered in a black plastic (there are not other color options aside from black), and the back is coated with a texturized rubber. The Glo HD is comfortable to hold in one hand, even for long periods. 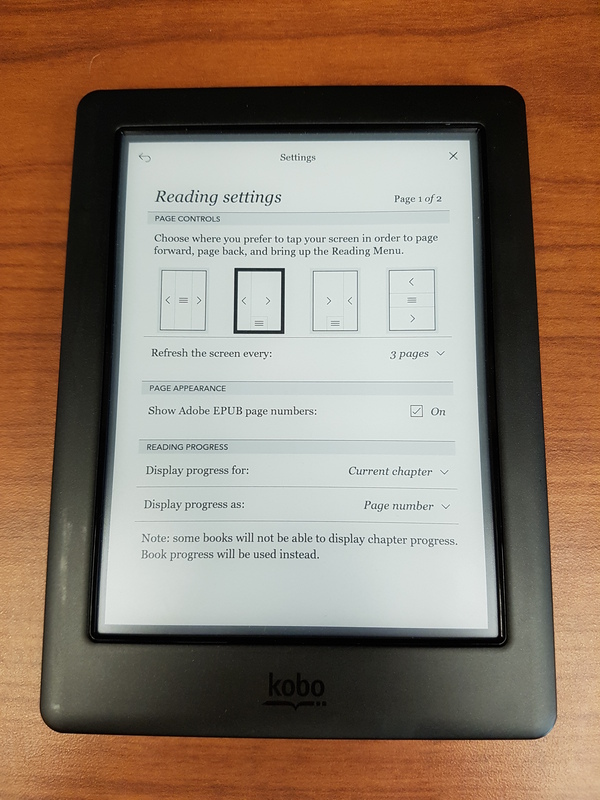 The construction of the Kobo Glo HD appears to be very solid. I admit to accidentally dropping it and there was no damage to the ereader. 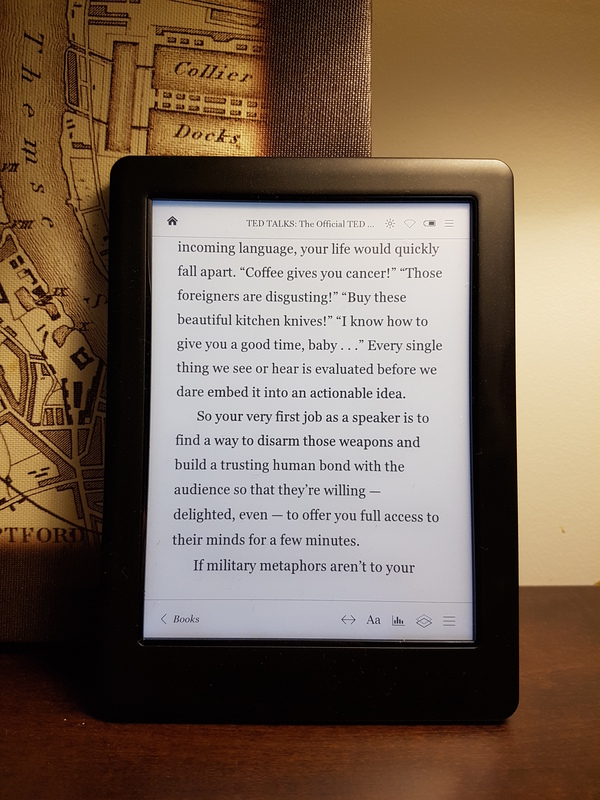 What makes the Kobo Glo HD so special is its display. It has a 6” Carta E Ink HD touchscreen with a ultra-high resolution of 1448 x 1072, or 300 ppi. In plain English the HD screen is crisp, clear and pleasant on the eyes. The screen is equally nice to read from in direct sunlight and in darker locals. 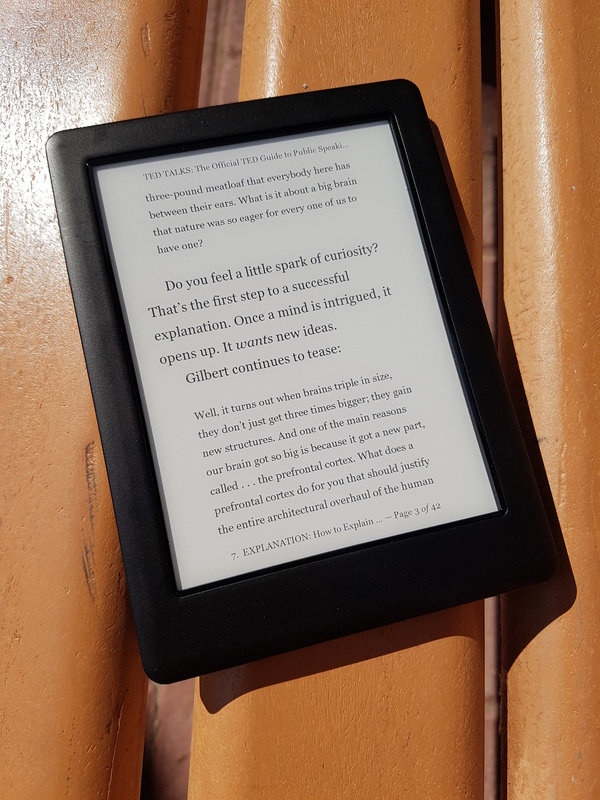 The Kobo Glo HD has 11 built-in fonts and 48 font sizes to choose from. You can adjust line spacing and margins with sliders by accessing the various menu options. You can align the text to the center or the left, or readjust the page controls so you can choose where you prefer to tap the screen in order to move to the next page. There’s also a built-in dictionary, and the ability to select passages and look them up in Google or Wikipedia. You can also choose to display progress based on chapters or the entire book. The Kobo Glo HD has a very intuitive user interface. It is easy to set up and use right out of the box. The home screen is based on a tile view, and displays everything that you use the most frequently on it. The home screen also displays the book that you are currently reading. One great feature on the Kobo Glo HD is Pocket. Pocket is an app that allows you to save articles that you find online, so you can read them offline. This is great for saving long-form articles off of various websites and reading them later. I love using Pocket. I often see interesting articles at work that I cannot read right away. I simply save them for later. There is an on board web browser, which you can access through the ‘Beta-Features’ in the settings menu. 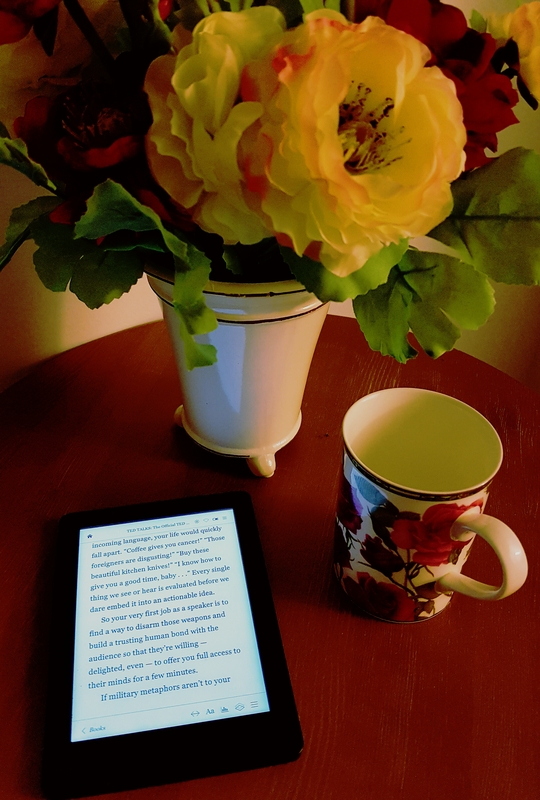 Another feature of the Kobo Glo HD is the Reading Life app. 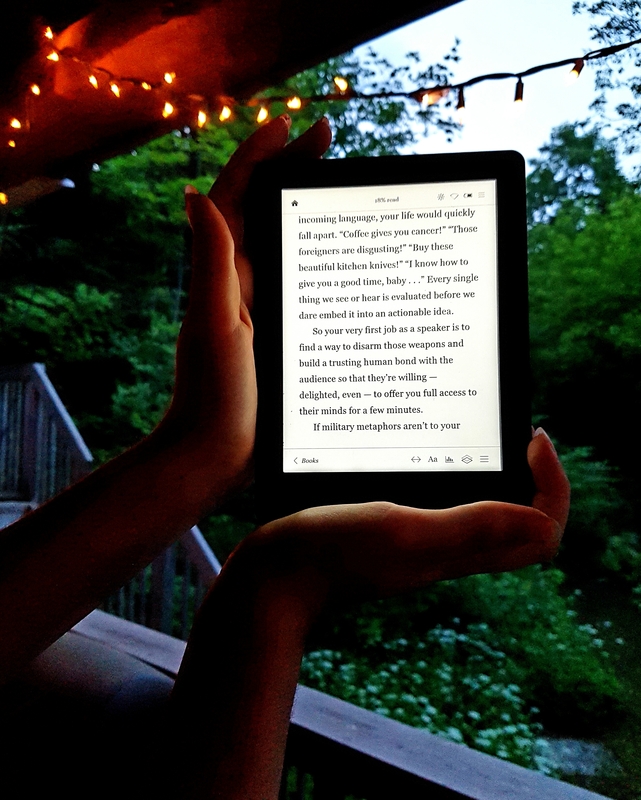 The Reading Life was first launched by Kobo in 2010. It is an app that gamifies your reading experience by awarding you achievements, and tracks your reading speed and favorite reading times. As a parent, this could be used with your kids to track their reading over the summer break. You can link the Glo HD to your Facebook® account and share your favourite passages, quotes, and books to your Facebook® Timeline. 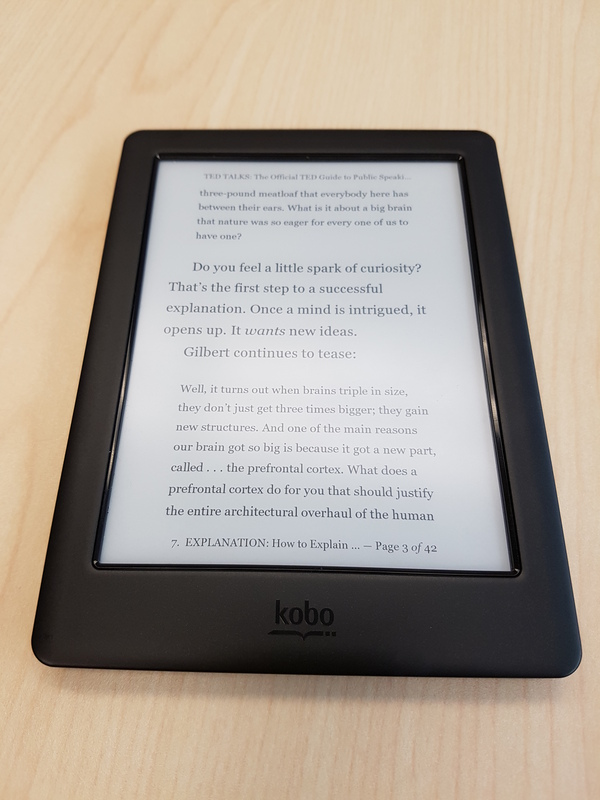 Exclusive to Kobo Glo HD, it comes with a free concierge service for tips on getting started, personalized eBook recommendations and more! I am going to discuss this service further in my next post on the Glo HD. According to Kobo the battery can last up to two months on a single charge (with 30 minutes of daily use). I have been using the Glo HD for over a month now and have not had to charge it yet. I personally don’t keep the Wi-Fi on all the time, and during the day I do turn down the backlight as well. But so far the battery power has been excellent. I love the Kobo Glo HD ereader and for $139.99 Cdn I think it offers great value for the money. It is better than Kindle or Nook for features and offerings at that price point. Kobo is also offering free shipping until June 30th. The only con that I have is that it doesn’t handle PDF documents too well but that is a problem across the board with all ereaders. I think the Glo HD is a must have for your summer reading enjoyment and for travelling / family vacations. 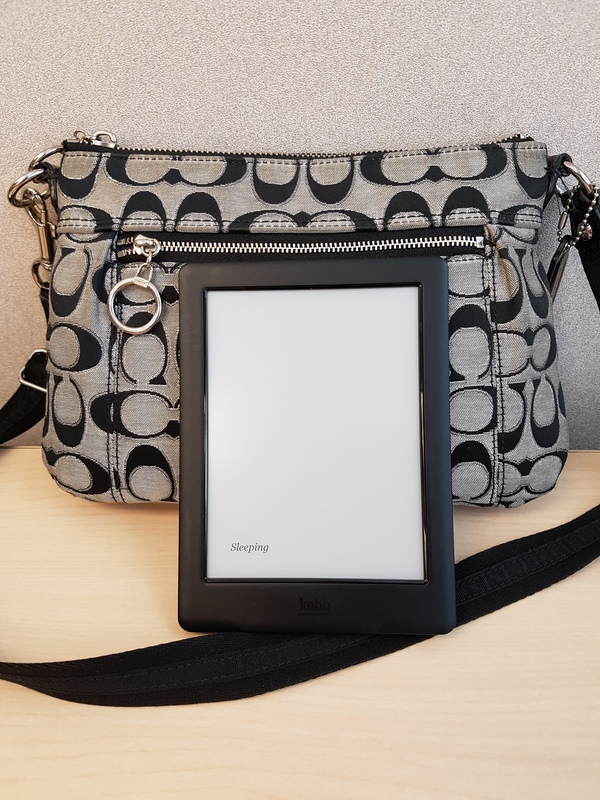 Stay tuned for my next post on the Kobo Glo HD where I will dive into the concierge service and more that Kobo has to offer! 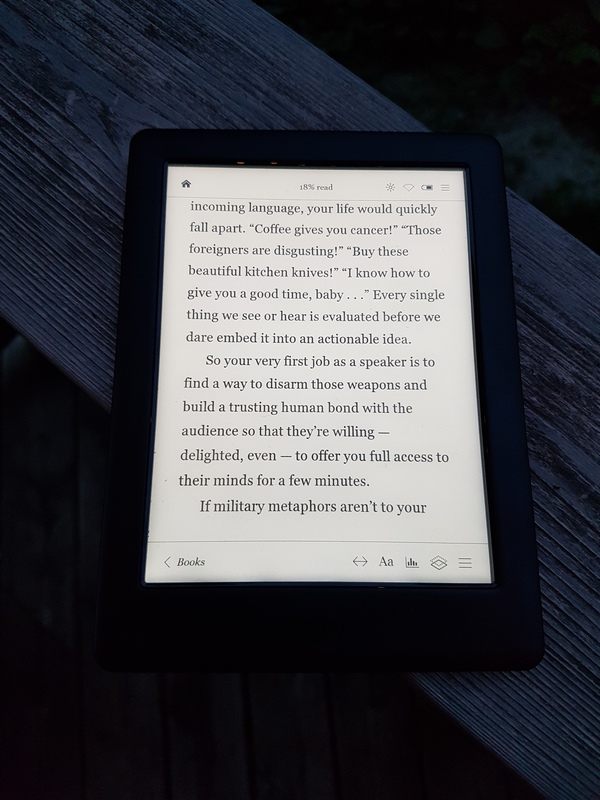 Disclosure: The Kobo Glo HD mentioned in this post was supplied by Kobo Canada. Previous Why Does Reputation Matter So Much To Law Firms?